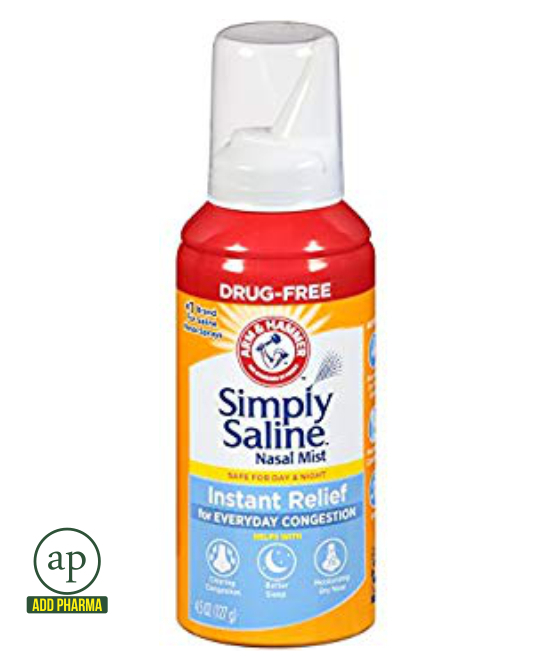 Simply saline nasal spray helps deliver instant congestion relief by flushing out irritants. It’s adaptable nozzle and gentle mist make it easy to use. Plus, Simply Saline is always safe to pair with your cold or allergy medicine because it’s drug free, preservative free, steroid free, and non-addictive. In fact, it’s made from three simple ingredients: water, salt, and ARM & HAMMER Baking Soda.